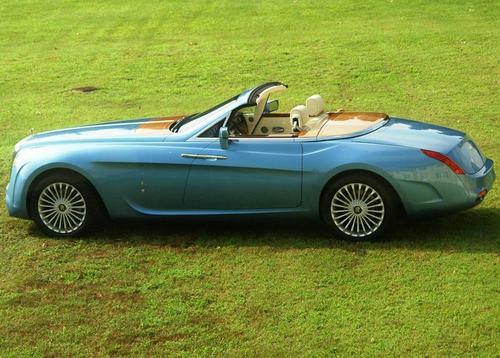 Named for a Titan in Greek mythology, the Pininfarina-etched Hyperion is designed to evoke memories of cars from the 1930s with its long majestic bonnet, short rear overhang and low rooflines. 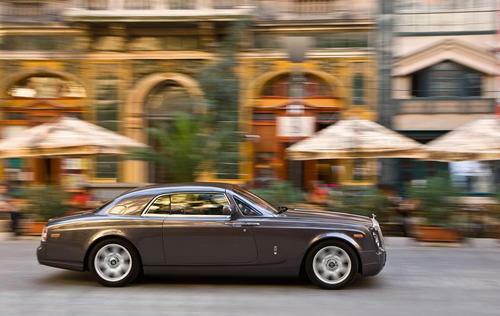 Based on the Rolls-Royce Drophead Coupe, the changes needed to create the Hyperion include the removal of the rear seats and a shift in driving position, which is now 400mm further back in the Hyperion than in the Drophead. To mimic the proportions of pre-war cars, Pininfarina had to extend the roof and shorten the rear end but apart from these changes the interior appointments remain intact. The bodywork is made of carbon fiber, while interestingly the doors are made of solid wood by craftsmen who usually reserve their services for luxury boats. The car was designed by the Special Projects division of Pininfarina, who also created the one-off Ferrari P4/5 a couple of years ago for James Glickenhaus. The Hyperion was designed for Rolls-Royce collector Roland Hall, who made specific requests for the cars appearance and utility - including two compartments for small items such as hunting rifles, located in front of the windscreen. While most of the interior remains intact, one change to the instrumentation has taken place - a watch has been specially designed for the Hyperion by Girard-Perregaux, and sits in the dashboard in a special cradle, but can also be removed and attached to a bracelet to be worn on the wrist. 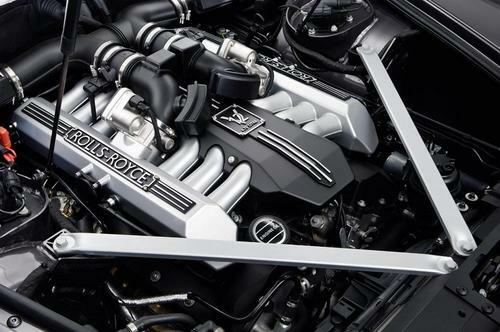 The standard Drophead coupe features a 6.75L V12 engine developing a peak output of 453hp (338kW) and 531lb-ft (720Nm) of torque, which is enough for an electronically limited top speed of 155mph and a 0-60mph sprint of just 5.6 seconds. No major mechanical changes have been installed for the Hyperion. 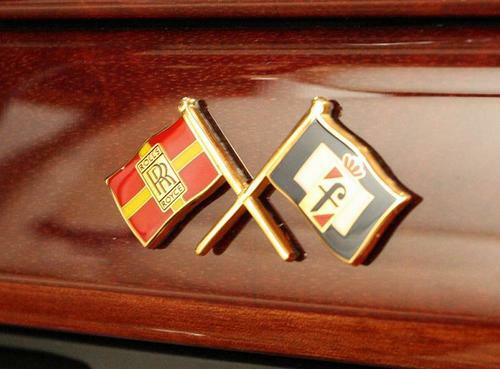 Pininfarina is proud to announce the unveiling of a new Special Project carrozzeria during Pebble Beach Concours, August 2008. 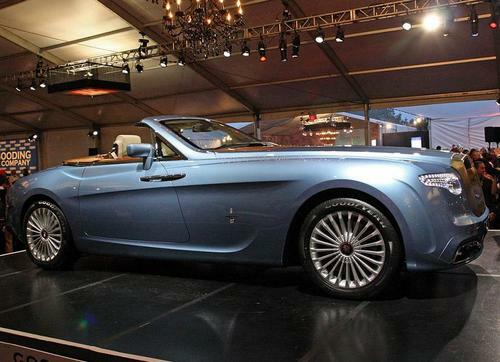 The project, named “Pininfarina Hyperion”, is based on a Rolls Royce Drophead Coupe and is an homage to the great pre war cars. Its style, size and overall presence is truly unique in modern day car production, firmly rooted in the history and heritage of the two Brands at the core of the project. We are particularly proud to communicate that the private client who has commissioned the car, has graciously agreed to display this latest Pininfarina creation at the prestigious American event. 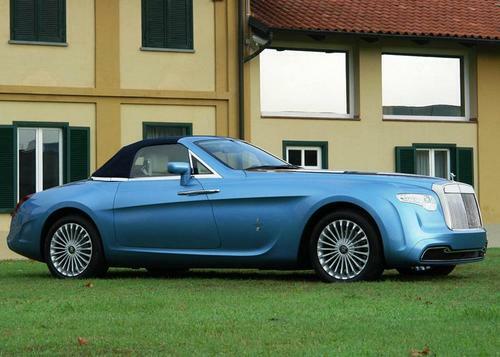 Pininfarina Hyperion is one of the Pininfarina driven projects to be presented in 2008. In fact it follows the presentation of the technologically advanced and avante garde Sintesi concept car at the latest Geneva Motor Show and it makes its debut shortly before the unveiling of the highly anticipated electric car concept, the Ferrari California and the Maserati Quattroporte MY ’08 - all designed by Pininfarina - at the Mondial de l’Automobile in Paris. Pininfarina with Hyperion once again demonstrates its creativity and ability to interpret the different requests of the motorcar industry.